Finding a portable battery pack or charger means you will be carrying a clunky extra device on your pocket and you will spend a lot of time waiting to charge your phone back to life. BOLD Knot is a beautifully designed key chain battery pack that will charge your iPhone 2X faster than the current options in the market and gives you 3 hours of extra battery time. 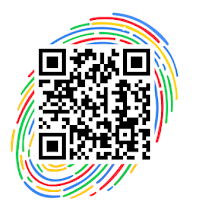 The Knot is now live on Indiegogo. Early birds will be able to pre-order one for $29. ▪ Compatible with both iPhone and Micro-USB Devices. ▪ The Knot features a fashionable and tiny battery pack with just the necessary juice to save your smartphone's battery in those dark hours and give you up to 3 hours of extra talk time. ▪ BOLD Knot is a USB charging cable that charges your phone 2x faster than other cables. 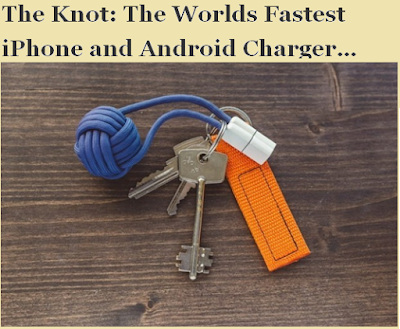 ▪ The knot will charge itself after the phone gets fully charged. This is achieved through blocking data from passing through the wires while maintaining them exclusively to convey power, which maximizes the cable performance while still being safe for the phone and its battery. ▪ The USB cable is also made of strong and durable parachute cords that keep the cable flexible and strain free, so BOLD Knot is expected to be a gadget that lasts longer than any other charging solution as both the cable and the battery inside the knot are well protected with casing and fabric.